Your online business achieves success only when it is promoted with proper SEO strategies. With modifications in Google algorithm rules, the strategies have also changes due to which SEO has become highly dynamic process. Hence, there arises a need to use social media not only to promote your business but also to keep in touch with your followers regularly. So, are you planning to reconsider how to use the different social platforms? Here are some tips to make the best use of your social media platforms. Find out what you are trying to achieve through the use of social media. Are you trying to develop your brand, increase your audience or promote sales? If your social media objectives have nothing to do with your business, then modify them. See that they are in some way connected to your business so that you can track your results accordingly. Find out which social media platforms your competitors are using. Are they using new platforms? Do they have multiple websites? How active are their followers and how many followers they have? Are they getting benefits from the latest changes on existing platforms? Are they trying out new things that you haven’t thought of? Do they appear to be more active or engaged than you? Finding answers to these will certainly improve your social media marketing tactics. Keeping in mind your goals, audience and competitors, decide which social media platforms are good to engage. Find out which social media sites are best for your business. Decide how you are going to handle each of these networks. This is crucial if you have limited resources. Also you need to be sure that these social media sites are the ones where your customers and competitors are engaged? If not, make your presence in the sites where they are active. Check your content on each social media platforms. Find out whether your description is aligned with your social media objectives. If not, make the required changes to help people know what your business is about. Add a good photograph of yours. See that you have added the appropriate URLs of your website, blog and other social media sites. Make some time to respond to your followers who have invested their valuable time in communicating with you on platforms such as Facebook, Twitter, etc. No one likes one- way communication. Moreover, on social media, it is not enough if you respond, you also have to motivate your followers to do so. You can ask them some interesting queries so that people feel like responding. Success will only flow when you have a two-way communication system. If you join a conversation, you will quickly achieve success in the world of social media networks. If you are unable to do so, you can assign this task to experts who can represent your company regularly on social media networks. This way you will be earning many benefits. Also, you get an opportunity to engage more audience in your business and spread your message across the viral network. Without keywords, your page is useless. Keywords are important for you to be recognized on the internet. The search engines match the keywords input by the customers to those used in your site or social media posts. Hence, you must do a complete keyword research before reconsidering the SEO campaign. Make use of Google’s online keyword tools to determine which keywords are most searched and try to include them in the posts on your social media networks. This helps your potential customers to search you easily on the internet. If you have gained some followers on your network, you can retain them by offering newsletter subscriptions, URLs to other sites of yours or free downloads. 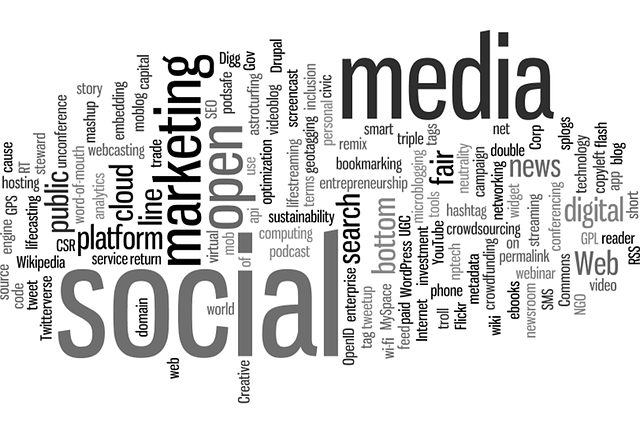 You can also organize social media contest to motivate new audience to share their social media profile and emails. Use infographics in your posts and it will do wonders in drawing millions of visitors to your blog. Your online business achieves success only when it is promoted with proper SEO strategies.